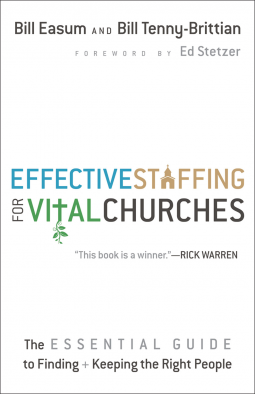 Well-staffed churches grow. But how do churches staff for growth in these rapidly changing times when budgets are tight, mission opportunities abound, and there is a growing shortage of qualified pastors, staff members, and church leaders? Two veteran pastors and church growth consultants offer workable solutions that focus on the four core processes vital to church health and growth: bringing people to Christ and the church, retaining them, discipling them, and sending them back out into the world. They also show pastors how to navigate the leadership transitions they must make to become increasingly effective as the church grows. Pastors will learn how to be leaders who multiply leaders and develop a mission-minded staff that does the same. Foreward by Ed Stetzer.